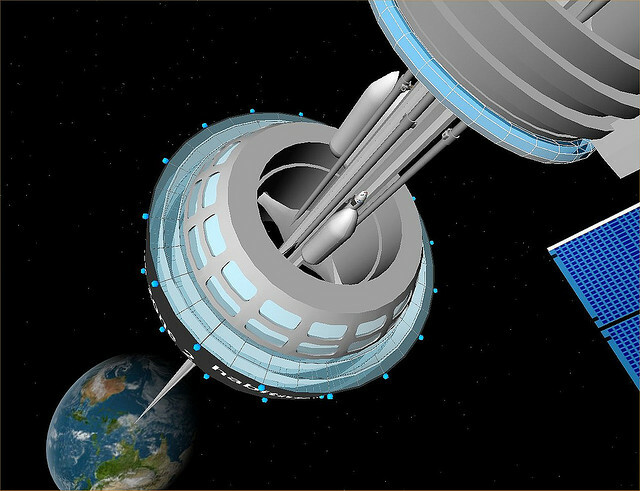 Space elevators are incredibly tall theoretical structures that stretch beyond the earth’s atmosphere to transport satellites and shuttles into outer space without the cost and environmental impact of rocket fueled launches. The idea has always been more science fiction than science fact, however a team from King’s College London could change that — they claim that advances in carbon nanotubes could make it ‘theoretically’ possible create a tether that would be strong enough to stretch more than 22,000 miles into space. The idea of a space elevator is not a new one — In fact, it was theorized as far back as 1895 by a Russian called Konstantin Tsiolkovsky who proposed a free-standing “Tsiolkovsky” tower that would stretch from the Earth’s surface to a ‘counterweight’ somewhere in geostationary orbit. If it was constructed, such a cable would need to be kept under tension by the forces of gravity and outward centrifugal acceleration. In theory, the counterweight, which would keep the whole thing stable, would be a docking and refuelling station for future space missions. In fact, NASA has pledged $3 million over the next five years to research the idea and is working on scale models. Somehow, I believe this idea will never get off the ground. HOW DO YOU PROTECT FROM ELECTRICAL STORMS FOR THE FIRST 60 MILES? 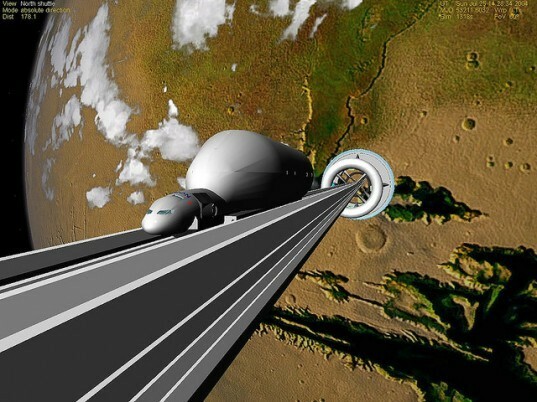 Space elevators are incredibly tall theoretical structures that stretch beyond the earth's atmosphere to transport satellites and shuttles into outer space without the cost and environmental impact of rocket fueled launches. The idea has always been more science fiction than science fact, however a team from King's College London could change that -- they claim that advances in carbon nanotubes could make it 'theoretically' possible create a tether that would be strong enough to stretch more than 22,000 miles into space.